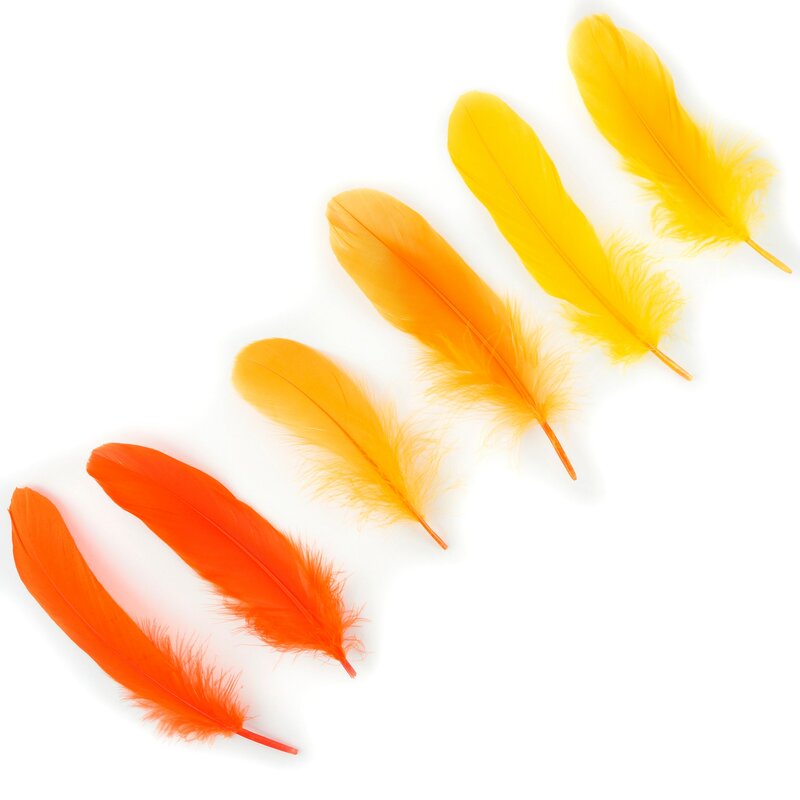 12pc SUNRISE Mixed Dyed Goose Pallet Feathers - For DIY Arts , Crafts, Dream Catchers, Millinery, Carnival, Costume & Cosplay Design ZUCKER™ These Dyed Loose Goose Pallet Feather Mix are 6-8 inches in length and tends to have a natural sheen to the feather. 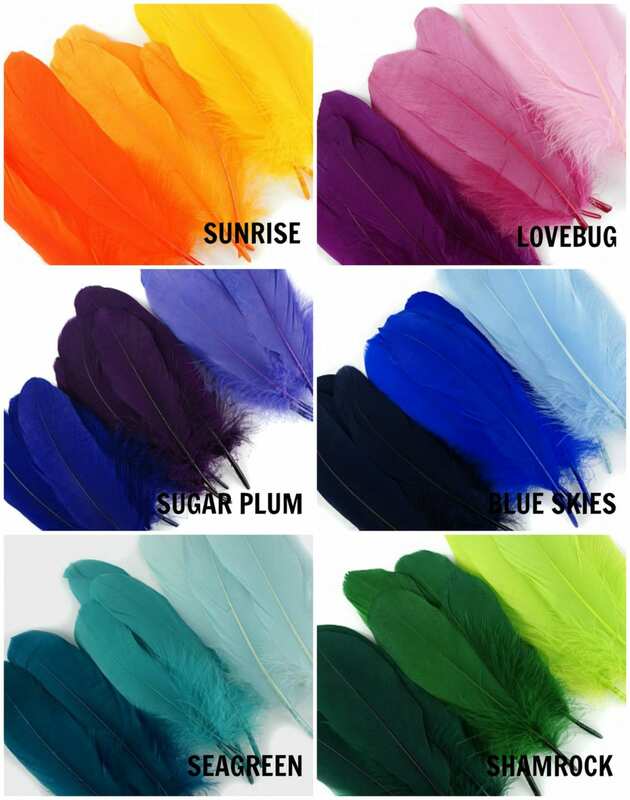 The feathers are packaged 12 piece package, 3 pieces per color. 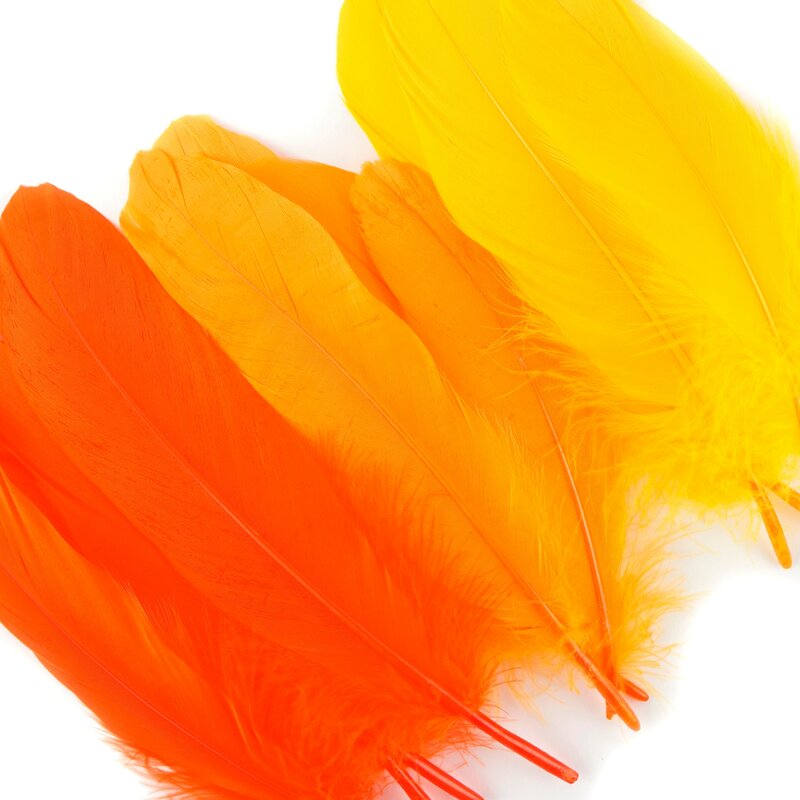 These feathers are fluffy near the tip of the quill, and the top is round and slightly curved. SUGGESTED USES: Packaged Feathers can be used in many Arts and Crafts projects, School and DIY Projects (Scrap-booking, Card Making, Gift Wrapping, Stickers), Feather Mask Making, Feather Fashion Accessories for Headbands, Hair, Hat, Millinery, Shoe Clips, Purse Embellishments, Bracelets, Earrings, Necklaces, Floral Arrangements, Feather Bouquets, Boutonnieres, and more. 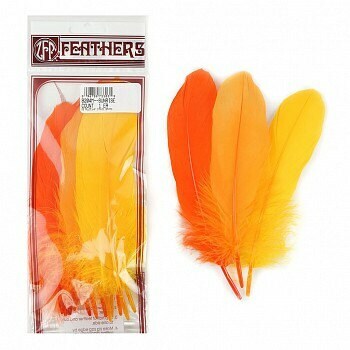 Packaged Feathers are also perfect for Fly Fishing, and Fly Tying. 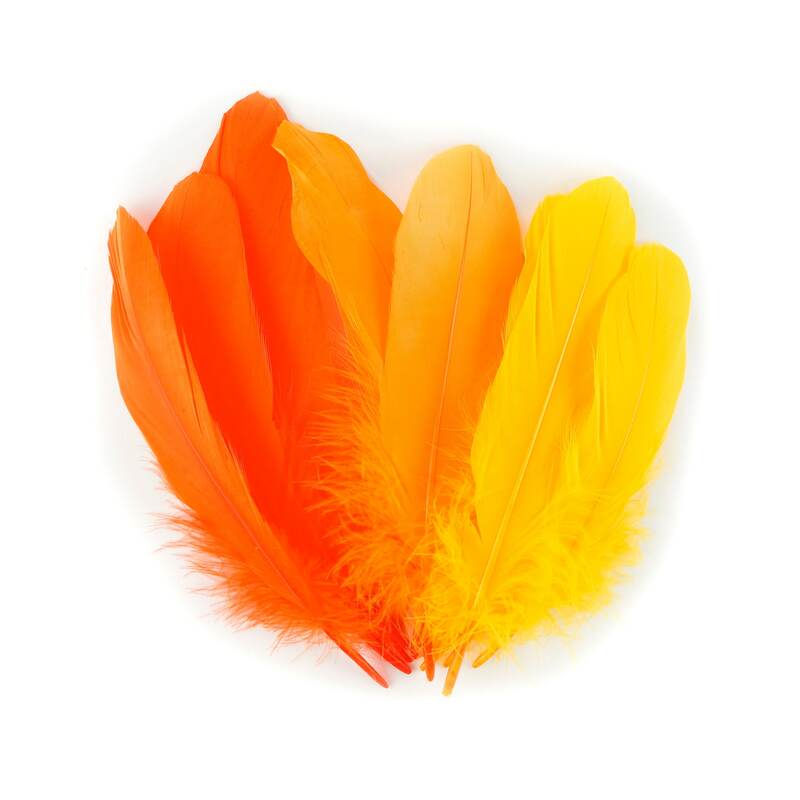 Longer feathers that are packaged are great for making Feather Headdresses for Carnival, Mardi Gras, Festivals, Native American or Aztec Cultural Dance, along with Feather Home and Holiday Decor.